How to unhide hidden worksheets faster? 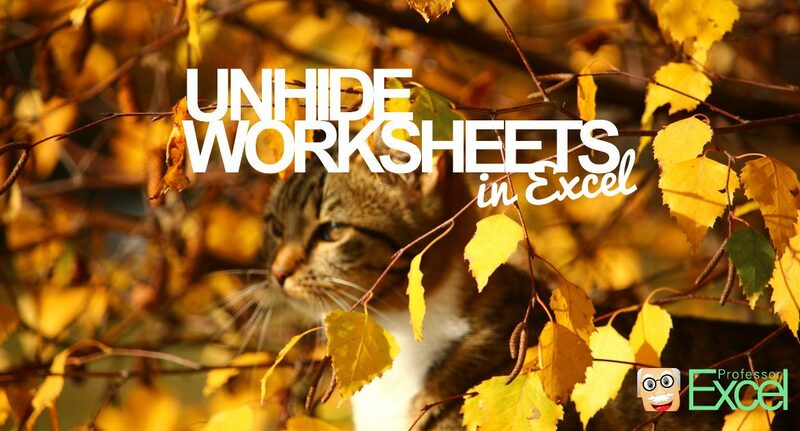 How to unhide all hidden worksheets at once? Unhide worksheets manually by right clicking on any other worksheet. The first step: Check if there are any hidden worksheets. Therefore, right click on any sheet name. 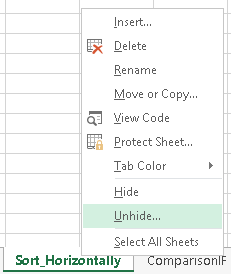 If the “Unhide” option is greyed out, there are no hidden worksheets in your workbook. If the “Unhide” button in clickable, click on it. Now you’ll see a list with all hidden (not very hidden) worksheets. Click on any worksheet name in that list and click on OK. You want to hide a worksheet? It works basically the same way, just click “Hide” instead of “Unhide”. Please refer to this article for more information. Yes, it sounds strange. 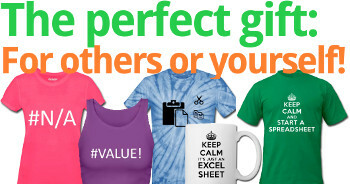 Maybe programmer humor… But there is the option to set sheets to “very hidden” in Excel. For unhiding “very hidden” worksheets, you have to open the VBA editor. Click on “Visual Basic” on the left hand side of the Developer ribbon. 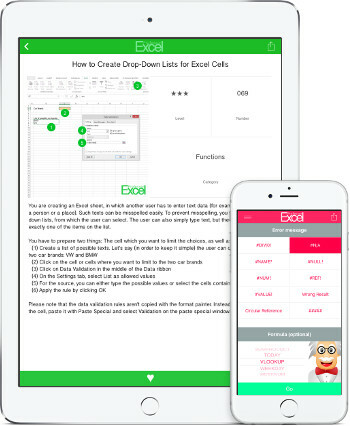 You can see a list of all worksheets within the Project Explorer. Change the status “Visible” to “xlSheetVisible”. Repeat these steps – this should speed up the process of unhiding. 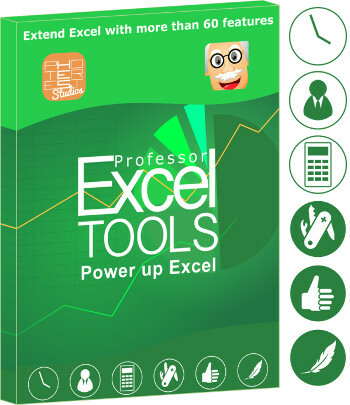 There is one more disadvantage: This method doesn’t work for all “very hidden” worksheets in Excel. Very hidden worksheets you have to unhide within the VBA editor (see above). 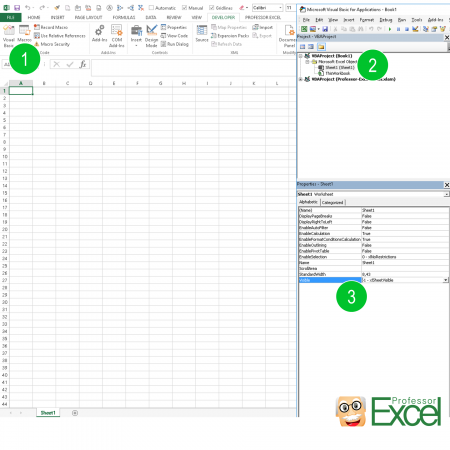 Select the very hidden worksheet and set the visibility to show. Therefore click on “Visible” in the properties window (usually on the left bottom corner) and set it to “xlSheetVisible”. Add a new module. Therefore, right click on any sheet and then click on “Insert” and “Module”. You can follow the steps on the screenshot on the right-hand-side. If you need assistance with adding the VBA module, please refer to this article. 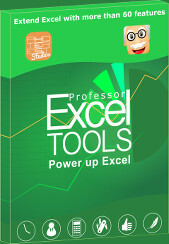 Click on the ‘Unhide Sheets’ button within the Professor Excel ribbon. A message box will pop up, saying how many hidden and very hidden sheets there are in your current workbook. If you want to unhide them, click OK.
To unhide the sheets you can rename the workbook to zip, extract, remove all of the state=”veryHidden” attributes from the sheets in xl\workbook.xml, save, re-package up (windows explorer and 7Zip failed, but .Net’s ZipFile.CreateFromDirectory which requires a reference to the System.IO.Compression.FileSystem assembly worked), and then rename back to xlsm. 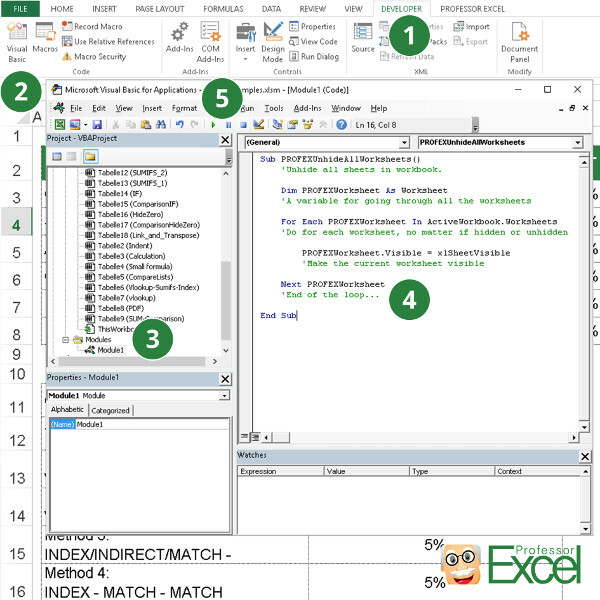 If the startup code hides the form then you will need to open Excel, File->Open, browse to the file, hold SHIFT, and open the file to prevent the startup code from running. I am trying to figure out a way to unlock a hidden or locked worksheet by creating an action on the previous worksheet. Is this possible?